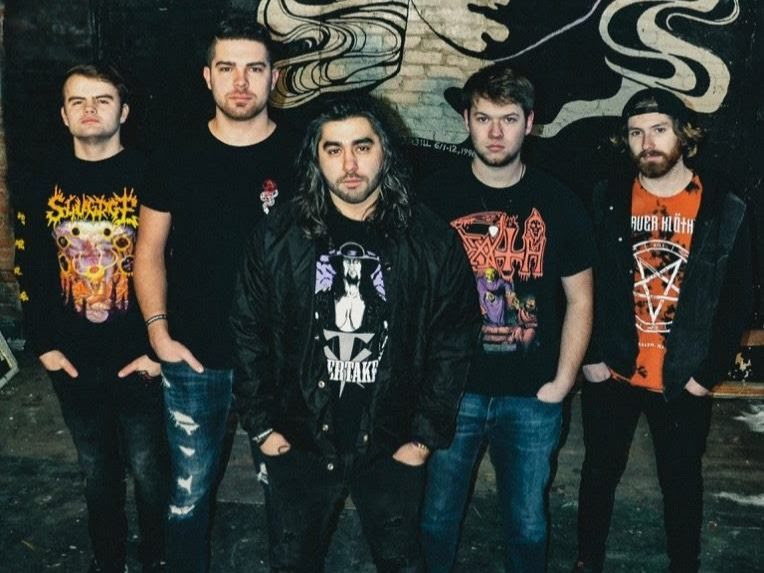 Following on from the previously released aggressive and dynamic “Which Witch Is Which?”, young metalcore formation A Burden To Bear is back with a second single - “The Weight Of Your Heart” - aiming to stabilize and certify the group’s potential to create and perform conventional and modern heavy music to its best potential. With a quite varied instrumental structure, which thrust the listener into a sea of intricate, energetic riffing and bone-shattering breakdowns, along with some orchestral effects and vocals that jump between screaming, shouting and sing-along choruses, “The Weight Of Your Heart” provides every band member with the opportunity to appear in the limelight, making this song an all-around solid, cohesive effort that is not only further supported by the addressed lyrical theme, but also showcases a great potential to be a very popular at concerts track. A Burden To Bear adds further details about the essence of "The Weight Of Your Heart": "The main influence for this song comes from Joe and Nick coping with the loss of people that meant a great deal to them. The track is sort of a way for them to channel their inner feelings (sadness, depression, anger) about the way their lives were tragically cut short. It’s also exploring the idea of where do you go when your life ends, specifically referencing Egyptian culture in regards to having your soul weighed against the Feather of Truth to decide your fate in the afterlife. It’s also telling the listener not to take their life, or anyone’s life for granted. You never know when it’s your time, so make the most of the opportunities you get."